Even though our parents banned us from watching MTV in the '80s, we were pumped for the opportunity to work on a series of logos and widgets for MTV’s Choose or Lose site during the 2008 election season. 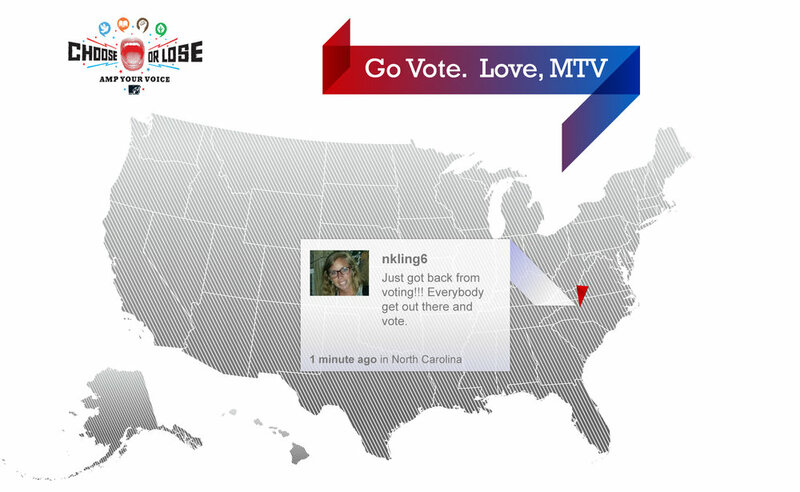 Live tweets and blog comments populated a map of the U.S. based on the submitter’s location. 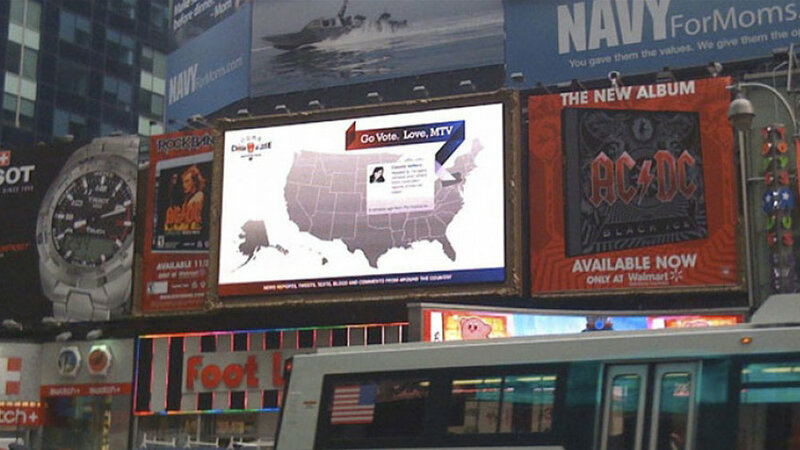 The biggest news of all—the map found a home in New York City’s Times Square on Election Day.